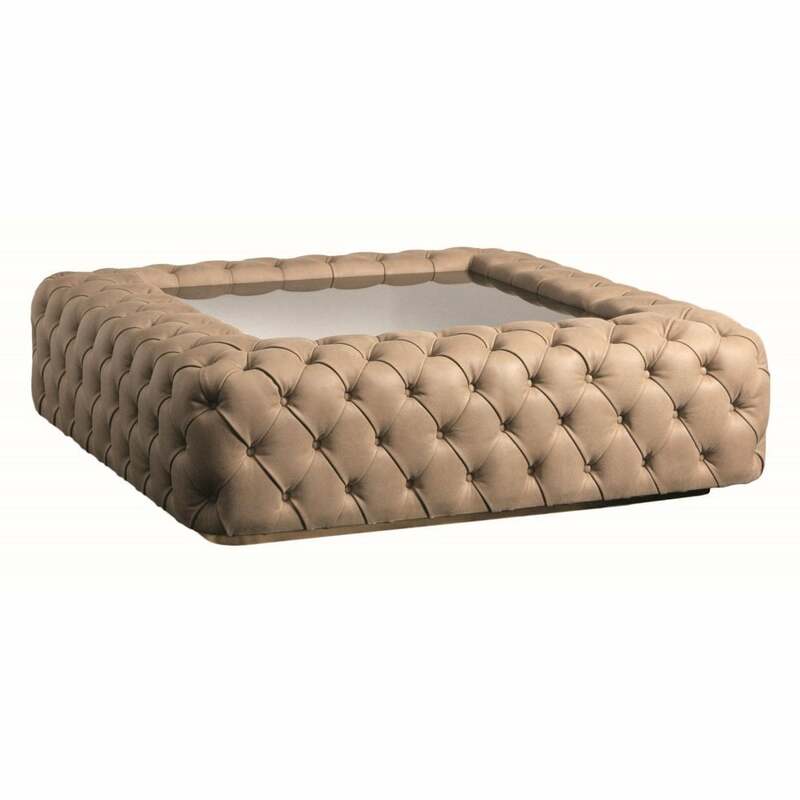 The Vogue Pouffe by Daytona is hand-crafted by master craftsmen in the heart of Italy. The square design is finished with capitonné detailing and leather upholstery to create a luxe look that exudes sophistication. The upholstery features deep buttoning creating a soft shape that has a luxurious feel. Embellished with a smoke glass top and burnished brass base, the Pouffe will add a touch of glamour to a dressing room suite or living space. The upholstery can be made in a choice of fabric, leather or nubuck leather. Create your own bespoke design. Get in touch with our team for more information and advice.